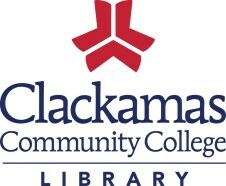 All CMC students have access to the Clackamas Community College Library! The CCC Library online allows students to search and order books/ebooks, search databases for articles for research, download MLA formatted documents to write your research papers and many other terrific resources. Students will need their CCC ID (myClackamas login username and password). If you do not have your login information, please contact Michael Ferber at CMC.